A lot of information I’ve seen out there is useful, but sometimes it’s quite technical, so I thought I’d make this beginners guide for a full Sanwa modded PS4 arcade stick on the cheap. **I’ve been playing fighters on and off for a while, but SFV re-ignited that passion. Shame about the beta. Anyway, I decided to rock an Arcade stick and the Venom was very cheap in comparison to the others. I’m getting used to it but found the square gate horrible, and the buttons were even worse. The stick was quite stiff but I kind of liked it! Either way, I have been reading up various posts and threads and people have been raving about this value setup, but I couldn’t find a comprehensive guide (particularly for a noob like myself). So I decided to put this together, please let me know if it’s useful and if any corrections are needed. As PresidentCamacho mentions below, the Venom is the same as the Mayflash V2, so the same guide should apply. Alternative: Seimitsu stick. Vyrus’ guide on how to mod with this type is located here in the thread. & 7. Now remove the four screws holding the actual stick and lift it, then remove the 4 cables from the board it’s connected to (these can just be pulled out). Cut the cabletie CAREFULLY so the cables aren’t bound (in this picture the cabletie is not cut) and lift it out. 10 & 11. If you have two washers, put one washer between the stick and the inside of the case, then screw the 4 screws back in place which hold the stick, ensuring the 5 pins are facing INWARDS. Then connect the 5 pin JST cable, however, ensure the teeth of the CABLE is FACING you when you put it on, otherwise only one direction will work. I was paranoid and I connected the cable then tested it out with the case option to ensure UP wasn’t DOWN etc …and I suggest you do the same if you’re not certain. Once you’ve connected the JST cable, then connect the other end to the board, there’s only one slot for it and one way it can go in. Don’t be too forceful but do make sure it’s all the way in (in my picture it’s right above the bit that says MF002V). Do not connect the ball top yet! 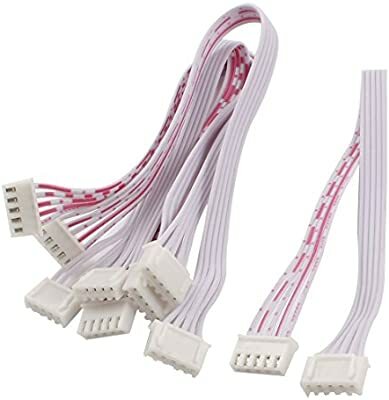 I’m aware there are similar posts but I couldn’t find one that quickly explained the steps for this specific arcade stick, and with the female to female JST cable, it was super easy! I hope this has been useful. Nice guide, I’m sure many people will find it helpful given the volume of requests we’ve seen about the venom. Also, you could add the mayflash v2, as it’s the same. Great write up. A+ on just the post. Also great job on the Mod. Even after the mod everything looked like it came stock. Also good thinking wiring notes on how to wire up everything. Very nice guide, cheers geezer! 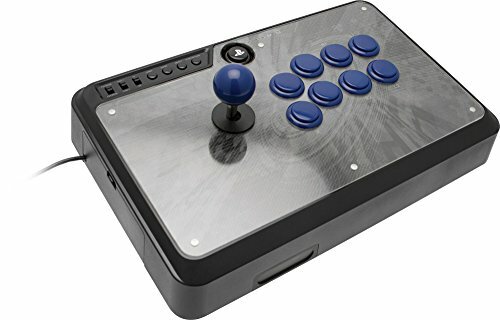 Hey, this is an awesome guide I was looking into getting one of these sticks soon instead of the new TE. Be nice to have something more personal. How do you get the design the right size to cut out? Do you just print it out on an A4 sheet and cut it out? Will I just be able to copy that picture above, and slap my own pictures/design on top? Hi Sure you can, please follow the link to the ‘template’ provided in the artwork step, and that one you can use to do whatever you want with. If you want my illustrator file, which also has colored button options (outer and inner color) then I can send this to you. Ahhh okay cool, I’ll take a look! So will I just print this out on A4 then cut the holes out I guess? Wicked I’ll keep tabs on this. Real neat guide. Thanks for the guide, but from personal experience i’d say it’s easier to remove the stick first, then change the buttons one at a time. Because there’s no stick in the way anymore you can lay the stick flat while you remove cables from a button, then pop out that button and pop the new one in, lay it flat again to attach the cables, and then remove the cables from the second button, pop it out, pop new one in, attach cables, etc. Repeat those steps till all the buttons are replaced, then screw in the new stick (or the old one if you only wanted a button change) and the work is done. I personally found this easier than drawing up a schematic which leaves room for error. Appreciate the time and effort that went into this Guide. Thank you so much!. Wish there was a link/Guide forum where people would upload and share their Venom stick artwork. 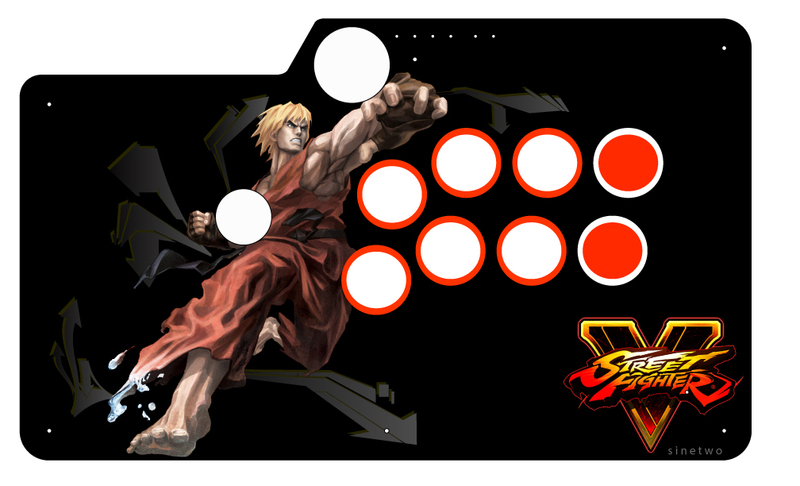 I would love an Awesome Street fighter V Cammy or Laura design to complement my stick, but alas i’m hopeless at designing my own. Do I need to buy the JLF-H cable on with the joystick? It depends who you buy from. Some sellers include the harness some don’t. You should have one for installation any ways. Great guide thanks - I’ve now done most of what you’ve said and am loving the stick. One problem I’m having, and I don’t know of anyone can help, when I’m playing from time to time all of the buttons and the stick just go dead. If I flick the ps3/ps4 switch to ps3 and then back down to ps4 it let’s me connect the stick again. Anyone else had this problem? Is there anything I can do? This isn’t guaranteed fix, but its on a hunch that it might be just static build up. Attach a wire from somewhere on the metal top panel, maybe the screws holding the joystick in place to one of the ground terminals on the board. Hi new on here, sorry but don’t you need to buy 8 buttons? Also Ken is in SFV or is that some sort of joke?